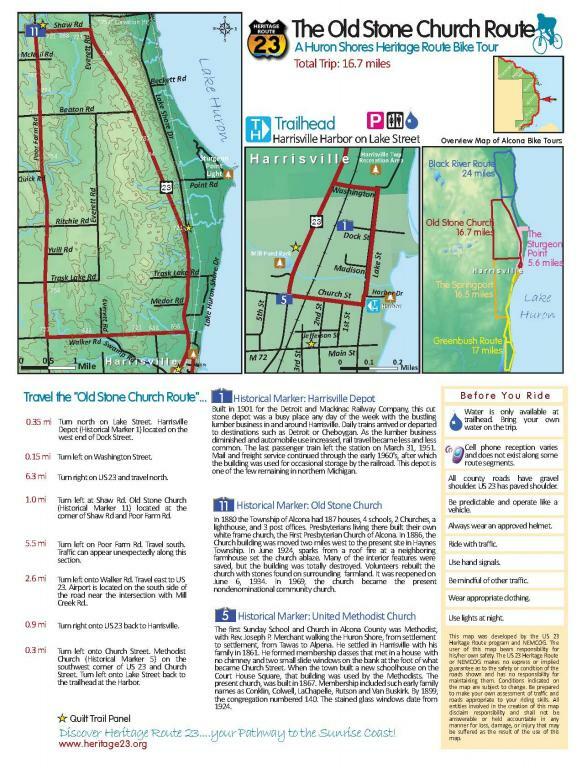 The Old Stone Church Route is a 16.7 mile round trip self-guided bike tour beginning in Harrisville. Meander through the quaint streets of Harrisville where you will view the historic Harrisville Depot, built in 1901, and the United Methodist Church with stained glass windows dating from 1924. 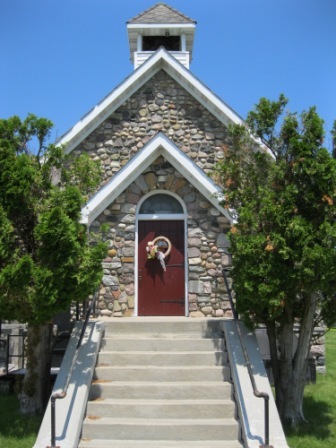 Travel up Heritage 23 to the Old Stone Church which was originally built in1880. A fire destroyed the church in 1924, but it was rebuilt with stones found on surrounding farmland. Download a map of The Old Stone Church Route to begin your tour.